The above shots were taken minutes apart. The only difference … the photo on the right was taken with Hoya’s Intensifier Filter. If your photograph features warm colors like red and orange, this filter will make them pop. 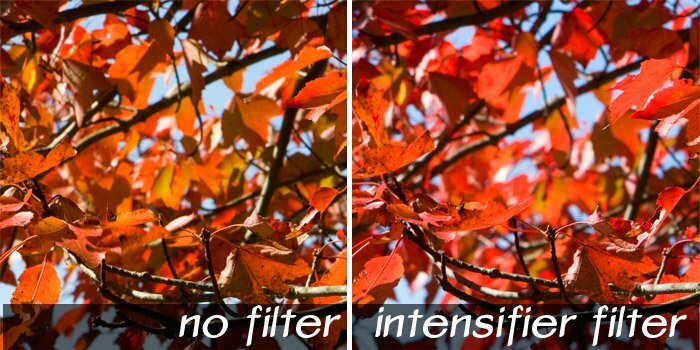 This time of year, I always use this filter to photograph Fall Foliage. 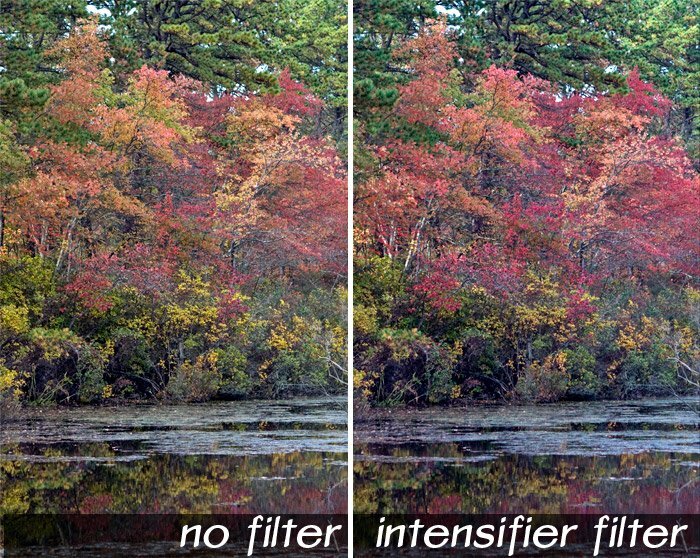 Again, the only difference with the above photos is the use of the Intensifier Filter in the right photo. The warm colors are pulled out and accentuated. Of course, you could make such a color shift in Photoshop. But, if you could make it in-camera, you would say yourself time in front of a computer. Also, if you tend to shoot JPG instead of Raw, you know that reds can get muddy with multiple saves as JPGs. The more you can get right in the original source file, the better. I have Hoya’s original Intensifier Filter. Hoya now offers three different filters – One for Red, one for Blue and one for Green. 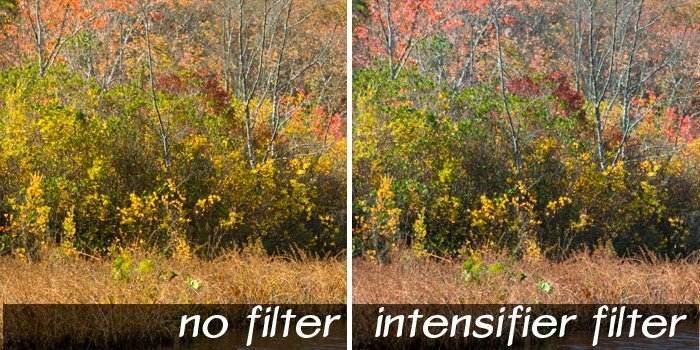 These filters are available at retailers like Adorama and B&H, as well as online. Thanks for this article.The intensifier filter is nice feature.One can see in the given photos that how filter is giving more sharp colour to the picture. It’s my favorite filter to capture Fall colors. Thanks for the comments!